Today, Ten News Caught up with the Delhiites today about day to day increasing pollution in the national capital. Everyone had one common opinion which was related to a ban on fireworks. Crackers when burnt, always gives away a boost in the population level. Air quality plummeted from an AQI of 171 (moderate) recorded on Sunday to 426 (severe) on Monday, a difference of more than 250 points. Residents of Delhi and NCR cities woke up to a toxic haze on Monday morning along with a burning sensation in the eyes brought on by a sudden rise in incursion of pollutants from crop-burning in Punjab-Haryana, a drop in temperatures, a rise in moisture levels and related meteorological conditions. Residents around the capital too felt the change in air quality with most complaining of an irritation in their throat, eyes or skin. 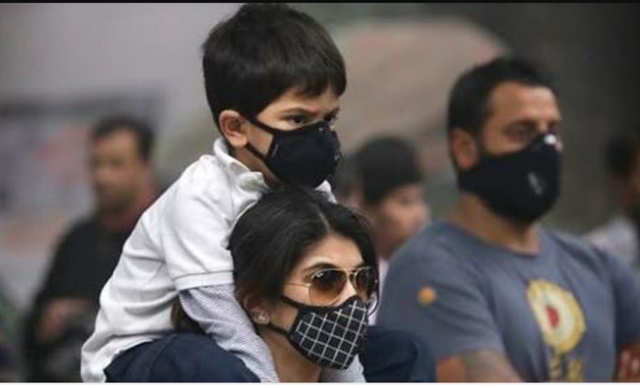 This is high time to wear masks whenever we leave our houses for work or any other purposes.